Your building needs complete protection from the dangers of smoke and fire and we have the perfect components to do the job. 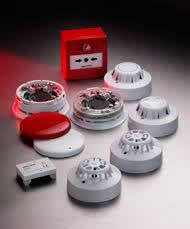 when you need a new fire alarm give us a call to arrange a FREE no obligation quote. We will work closely with you to ensure all of your needs are met and we will also make recommendations for fire safety improvements. Our quality procedures ensure the highest standards in whatever we do from designing your fire alarm to installing components around your building. 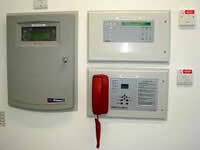 A complete site survey is the initial stage of building a fire alarm system, this then allows us to fully meet your requirements and make sure you are going to be fully protected. Our design and installation team get to work fast with minimum disruptionto you and your business. We fully test each system to make sure it's in full working order before we finish. After installation is finished we do not just leave you there. We also offer after care maintenance contracts which allow us to keep your system working 24/7 ready for when you need it most.